Upper Mustang trek in Nepal offers a spectacular tour into the remote Trans-Himalayan mountain area with Tibetan influence culture and history. Upper Mustang tour is probably the most mysterious and least known kingdom prosperous with vistas including unusual and eye-catching views of the snow-covered Himalaya, barren high plateaus, deep canyons, and an ocean of exposed hills the colors of a desert sunset. For booking, please go the check availability at your right. Upper Mustang region is a land where the soul of man is still considered to be as real as the feet he walks on, while the land itself is almost treeless, barren landscape with a countryside similar to Tibetan plateau where beauty and happiness flourishes, in spite of hardship. Hidden behind the majestic Himalayan ranges, this isolation helped the people of Mustang to maintain their lifestyle and heritage that remained almost unchanged for centuries. Undamaged by modern progress as all elements of the Nepal Himalayas, Upper Mustang tour is suitable for any trekkers looking forward additional challenging and adventures. It was an important means of crossing the Himalaya from Tibet to Nepal, and many of the old salt caravans passed through Mustang. By 14C much of Ngari became part of the Malla Empire, whose capital was Sinja in western Nepal. Really, it became an independent kingdom in its own right, under the rule of Ame Pal, the founder king of Lo in 1380. The present royal family can trace its history 25 generations back to Ame Pal, and the city of Lomanthang, which we will visit, was the center of their power. Recognizing the special nature of this old, tiny kingdom, the Nepalese have imposed a surcharge for anyone wishing to enter Kagbeni, the border of Upper Mustang. 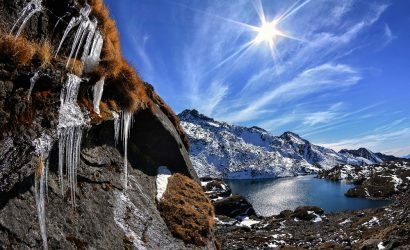 With legal trekking groups only being allowed in for the first time in March 1992, you would be part of a small privileged minority to visit this remote outpost of Nepal. Upper Mustang Trek On the land of Lo, Mustang is the former Kingdom of Lo and now a part of Nepal, in the border to Tibet. In present-day Nepal, Lo Manthang is a backwater, a comparatively very small and insignificant town. Upper Mustang is the home of two magnificent Gompas, Thubchen and Jampa, located barely a hundred yards apart and dating to the fifteenth century. The effect may be compared to that of a French or Italian provincial town with not one but two medieval cathedrals. In March 1996, Thubchen and Jampa were listed in the world monuments funds first annual watch list of 100 most endangered sites, representing the worlds cultural heritage. In eastern Mustang, the isolated cave Gompa of Luri, probably of even earlier date, is also decorated with important paintings. There are other important sites in Mustang as well, including the Gompas of Tsarang and Lo Gekar. Where can I buy Upper Mustang trekking Map? Normally once you book your trip with a local agency, they will provide upper Mustang trekking map. You can buy in Kathmandu trekking shop or in any bookstore in Thamel. How long is Upper Mustang trek itinerary? Generally, it is 7 Days to more but you need counsel from your expert guide. If you have really limited time, then you can fly to Jomsom and start trekking from there. This will cut 4 days of your trip to and from Pokhara. 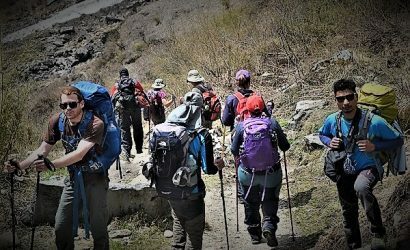 How much cost for Upper Mustang trek package? Upper Mustang trekking permit is updated often but Mustang trek cost starts from 1500 $+ per person. What is the Upper Mustang trek altitude? The maximum altitude of Upper Mustang tour and trek is 3810 m.
Which is the best season for Upper Mustang Visit? Upper Mustang area is known as desert part in Nepal. Spring (March June) and autumn (Sept-November) is the best season for Upper Mustang visit. 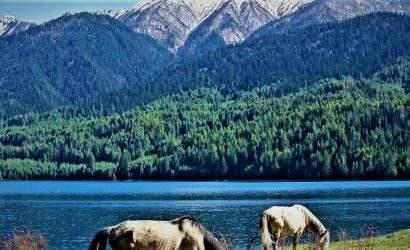 Where can I get the Mustang Trekking Permit? Can I trek alone to Upper Mustang? You can’t trek alone to Upper Mustang, there must be minimum 2 people. You are single no worries email us we will make a group permit. Upper Mustang trekking permit cost? Mustang trekking permit cost 500 $ per person for 10 days. How is the Upper Mustang trekking route? Upper Mustang trekking routes follow after a scenic fly from Pokhara to Jomsom then walking through Kaligandaki Valley, amazing landscapes, Tibetan cultures, chorten, and monasteries on the way. There are roads these days on the trekking trails which may bother you, but vehicles are frequently there. What is the Mustang Tiji Festival dates for 2019? Mustang Tiji festival dates are May 31, 1st June, and 02nd June on 2019 and this festival is celebrated in the Kingdom of LoManthang. Do I need to book in advance for Mustang Tiji Festival Trek ? For Tiji festival trek you have to book in advance because there are few hotels in Lo Manthang (the capital of Mustang region), during this festival, there will be numerous of local people hundreds of Lama and trekkers. After break fast, drive from Kathmandu to Pokhara or you can do the flight from Kathmandu to Pokhara, take walk tour around Fewa Lake and visit to Davi's Fall. After break fast, head to Kagbeni through mountain, valleys, terrain, river and villages. It takes almost 8-9 hours to reach there. Kagbeni height is 2810m from sea level. After break fast start upward driving to Chusang, through beautiful mountain, river and villages. You will wonder and stop in so many places to click the photographs. From Chusang to Ghami (3,460m/11,352ft). Explore monasteries and village. Trek to Charanag (11677ft. 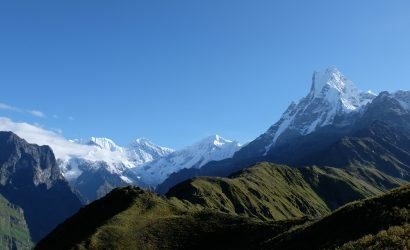 3560m). Explore monasteries and village. Trek to Lo Manthang (12,238ft. 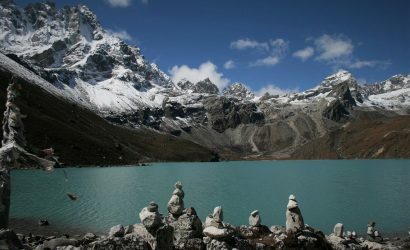 3,730m). Visit monasteries, king´s palace and museum. Excursion Choser village, back to Lo Manthang after visiting monasteries and caves. Trek to Ghargompa, Visit the monastery. Enjoy the sightseeing as you drive back to Chele from Lo Manthang. From Chele come to Kagbeni or Jomsom, from Jomsom you can head back to Pokhara by plane. From Kagbeni drive to Pokhara or you can fly from Jomsom to Pokhara. From Kagbeni, you drive back to Pokhara and relax or you can take a flight to Pokhara and fly again to Kathmandu. If you have plenty of time you can take a bus to Kathmandu. From Pokhara you can return to Kathmandu, but on the way, there is Bandipur, a tourist place to explore the cave. You might probably want to visit this place. There is also Begnas Taal on the way to Kathmandu from Pokhara. 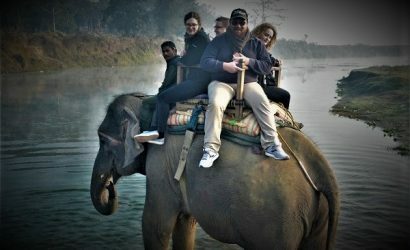 You can customize your trip with the company and visit as per your itinerary. Relax in Kathmandu. 6. English speaking guide during the trek. If you need porter let us know. 1. Your food in Kathmandu and Pokhara, depending on booking. 3. All beverages and drinks. How much cost for Upper Mustang trip cost? Upper Mustang was forbidden kingdom, recently it has been open. For exactly updated cost please contact us for detail.